Congregation Beth Shalom’s religious leader is Rabbi Julie Adler. Rabbi Julie Adler received master’s degrees from the University of Judaism and from Harvard Graduate School of Education and was ordained as a rabbi by Hebrew Union College—Jewish Institute of Religion in 2006. She co-edited the anthology, Joining the Sisterhood: Young Jewish Women Write Their Lives, published by SUNY Press and has published essays and articles in Spirituality and Health, Lilith, and Reform Jewish Magazine, as well as The Sacred Table: Creating a Jewish Food Ethic, Midrash and Medicine: Healing Body and Soul in the Jewish Interpretive Tradition, and Torah Queeries: Weekly Commentaries on the Hebrew Bible. Previously, she served as rabbi of Congregation Am Echod in Grayslake, IL; Aitz Hayim Center for Jewish Living in Glencoe, IL; the Director of Jewish Student Life at Santa Monica Community College in Santa Monica, CA; and she was the Assistant Director of the Kalsman Institute on Judaism and Health in Los Angeles. She currently also is the Executive Director of the Brit Milah Program of Reform Judaism and NOAM. 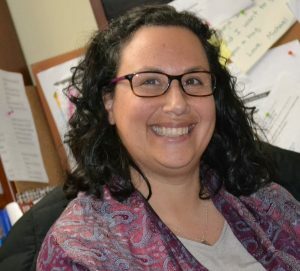 Currently, Rabbi Adler is working towards a graduate degree in counseling psychology at Adler University in the Clinical Mental Health Counseling program. She lives in Evanston, IL with her husband, Rabbi Amitai Adler, and their two young children.